Unfurl the green flag! It’s time to get a great party started! 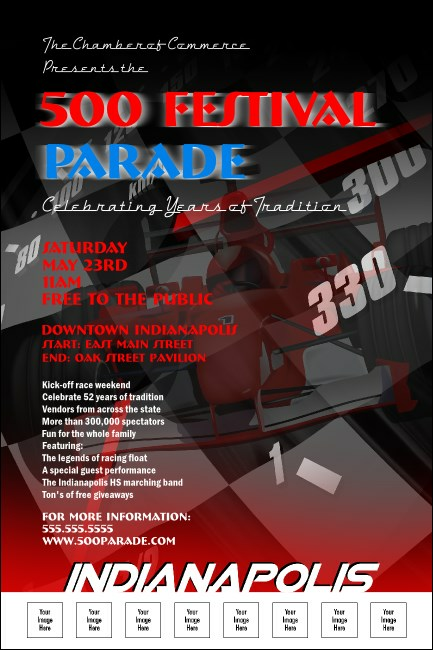 The Indianapolis Poster should be the cornerstone promotional piece of your next local event. Featuring space for eight custom image uploads this poster invokes the racing spirit of the city! Take some time out to look at the matching event kit from TicketPrinting.com.